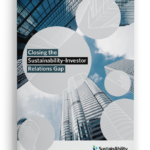 NIRI recognizes that ESG information is becoming increasingly integrated into the investment process by institutional and retail investors and encourages IR professionals to become more knowledgeable about the information and data that investors are seeking. The policy statement was developed by an ESG Task Force that was designated by NIRI’s Board of Directors in the summer of 2018. The task force considered the views of IR professionals, investor groups, issuer advocates, ESG consultants, IR service providers, and other stakeholders while drafting this statement. NIRI has created a new Sustainability Resources Library on the NIRI website to help members stay informed about developments in this area. 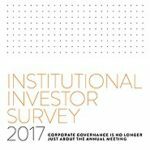 Finally, NIRI invites members, investors, and other stakeholders to learn more about ESG disclosure issues by attending NIRI’s inaugural “Big I” (Investor & Issuer Invitational Forum) on March 19. This day-long event will be held at Baruch College in New York. For more information, please visit: https://www.niri.org/events/the-big-i-2019.